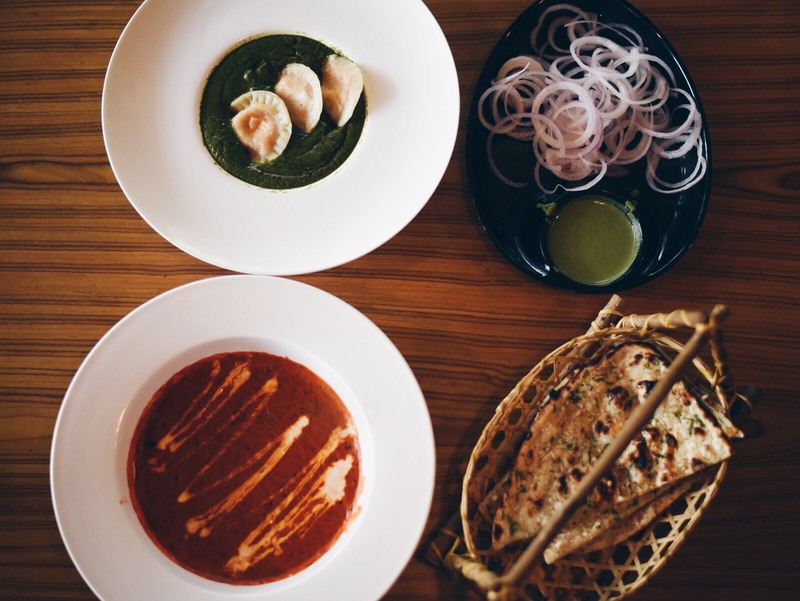 Rajouri Garden has never been my go-to place for good food. As a west-Delhiite, it was at most a nice compromise between Connaught Place and Hauz Khas Village to drink and party, without having to worry about getting stuck in traffic. 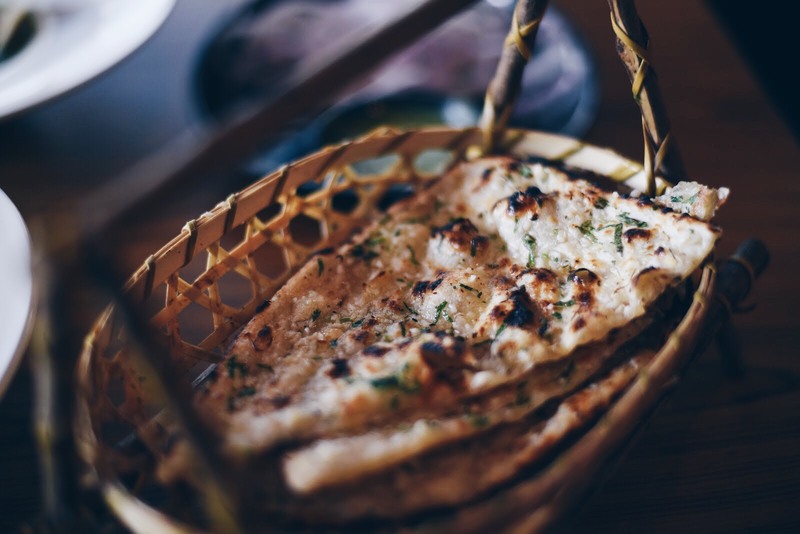 But a place like Too Indian truly adds an edge of exclusivity to the area by offering a wholesome experience involving great food, quality live gigs, and a lovely ambience. All this, without burning a whole in your pocket. The interiors are tastefully done and let in ample natural light- I am so happy it is not like any of those dingy, loud restro-lounges that have taken over the area. There's a swanky bar lined with comfy stools on one side and spacious seating on the other. I especially loved the wall full of shoppable pickle in jars, gourmet jams and other small eats. Coming to the food, I'd definitely recommend 'Is it Dahi Bhalla' which is a fun, modern take on the popular dish. 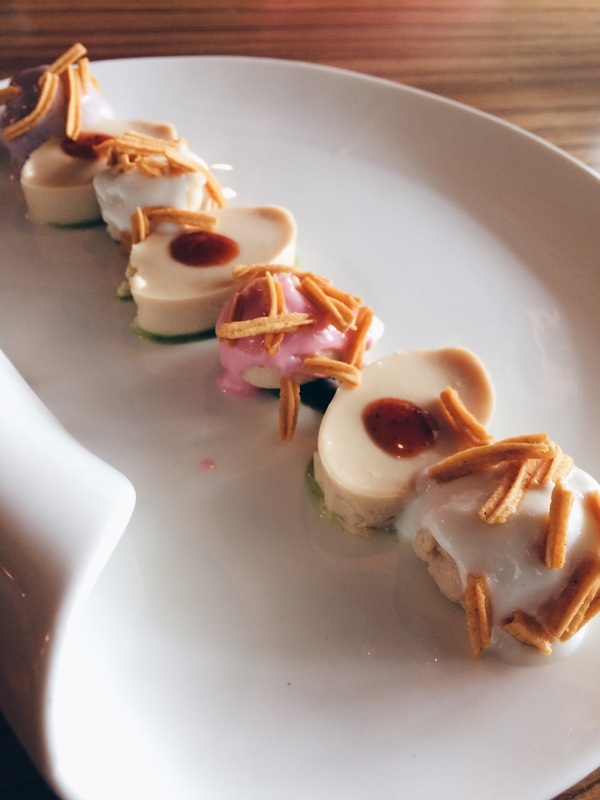 It involved dollops of different flavours of yogurt over spongy, savoury rasgullas and a beautiful mishti-doi mousse. 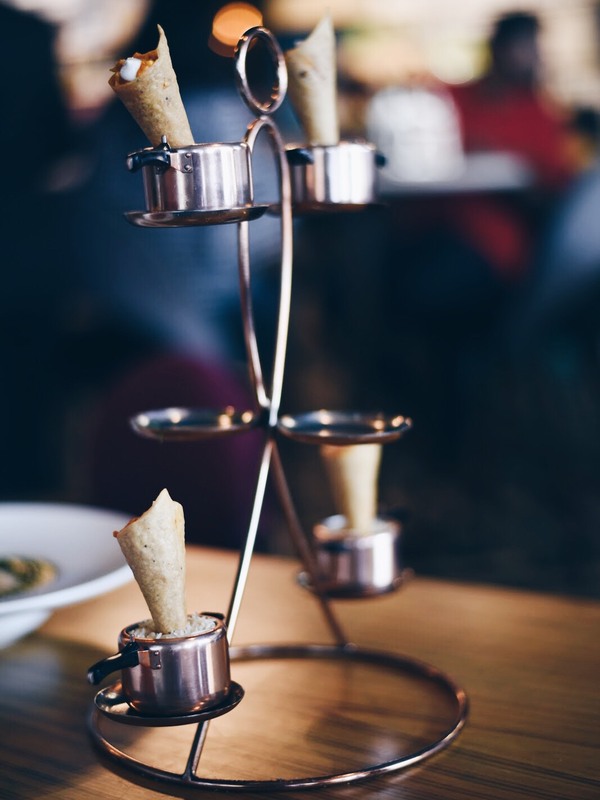 Crispy Paneer Taco Cones, though interestingly presented in mini pressure cookers, were rather underwhelming taste-wise and can be given a miss. 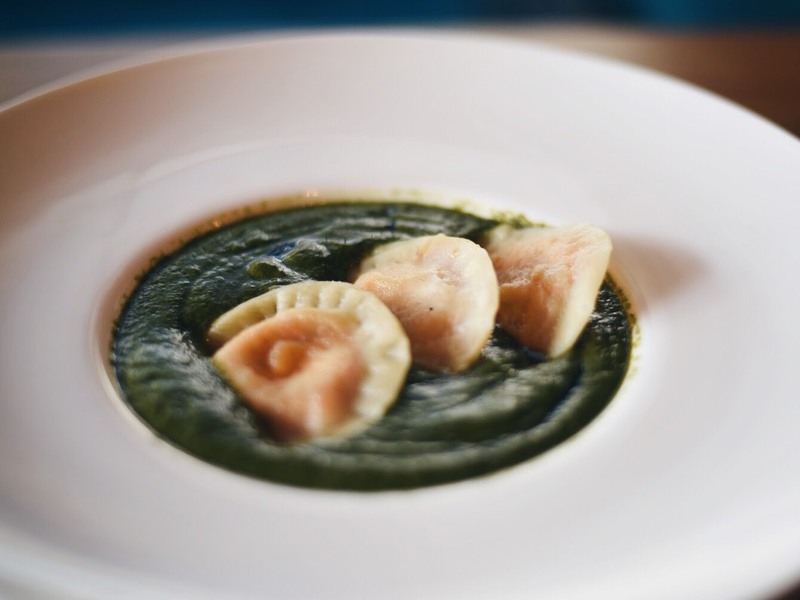 Moving on to the mains, Palak Paneer Ravioli gives an Italian twist to an otherwise ordinary dish of palak paneer- something I don't usually order, but absolutely this version with my Garlic Naan! Lastly, and I am not exaggerating, their Dal Makhni is an experience in itself. 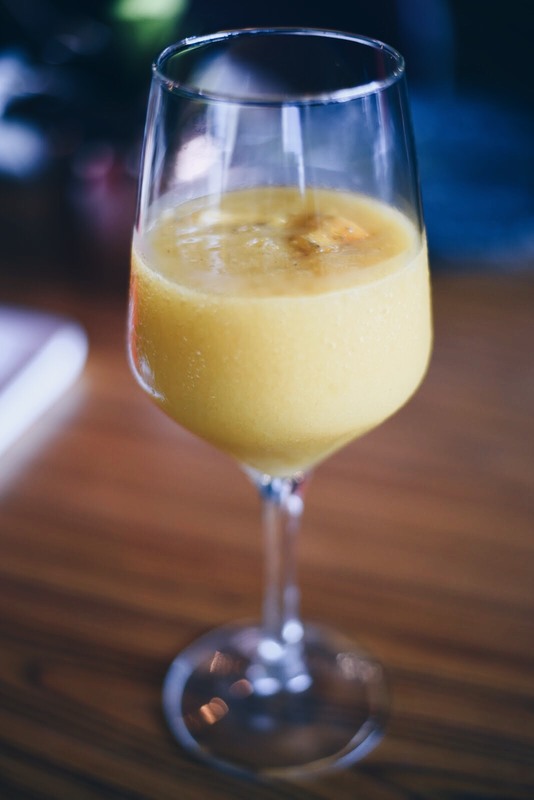 I am yet to try out their desserts and cocktails, but did enjoy Mango Raseeli, a refreshing mango mocktail. Cannot wait to go back and try the rest of the menu!